The Boosh Plena Voice Alarm Controller is the heart of the voice alarm system. It is the basis of the Plena Voice Alarm System, and has all the essential functionality for compliance with the IEC 60849 standard, including full system supervision, loudspeaker line impedance supervision, a supervised emergency microphone on the front panel and a supervised message manager. The messages can be merged to allow even more flexible use of pre-recorded announcements and evacuation messages. The controller can be used as a stand-alone system with up to six zones, or expanded to up to 60 zones using additional six-zone routers. Up to eight call stations can be connected. Interconnections are made using standard RJ45 connectors and shielded CAT-5 cable. 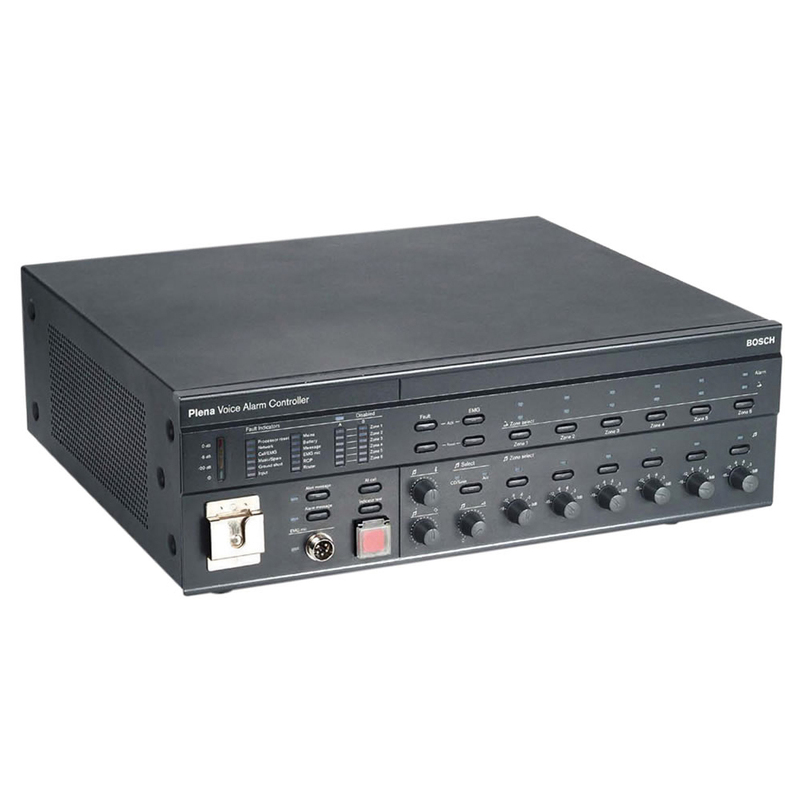 A built-in 240 W amplifier provides the power for the emergency call channel and BGM. 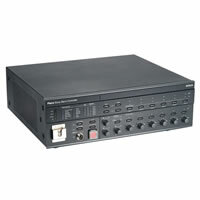 Additional Plena Amplifiers can be added to provide two-channel operation. All amplifiers are supervised. The audio output uses standard analog audio 100 V line switching for full compatibility with the Plena family of public address equipment and Bosch EVAC-compliant loudspeakers. The system is configured using DIP switches for basic functionality and a PC for more advanced functions.